In Write Field – Never caught looking. Too busy living…and I’ve got the pictures to prove it. And knickers are twisted in bunches. Putting cracks in the walls between classes. While her father and sister play martyrs. And compare her with Kate? Whatever it takes. Just RELAX. “The end of an era” is an overused expression. You hear it when a ball player retires, a long-running TV show is canceled, a public figure passes away or — as was the case this week –an iconic brand calls it quits. While I don’t believe Sears, Roebuck and Company’s 132-year run fits the definition of an “era” – the store has been in decline for years — its Chapter 11 bankruptcy filing this week left me feeling a little bereft, and awfully sentimental. Sears loomed large in my childhood. I grew up in rural Northeast Ohio, a stone’s throw from cornfields and Amish farms. In my early years, our road wasn’t even paved, and there were no sidewalks in my hometown. A trip to the mall – about 30 minutes, in each direction – was an exciting excursion. Mom did much of her shopping from the Sears catalog — and instead of receiving her merchandise by mail, she’d often pick it up in the customer service department. That’s also where she’d return something that didn’t work out. I remember walking through the side door to pick up/return items – skipping alongside Mom, clinging to her hand — like it was yesterday. I’ll bet we did that walk a hundred times. Throughout elementary school, most of my clothes came from Sears. When I was very young, I wore the “Winnie the Pooh” brand. 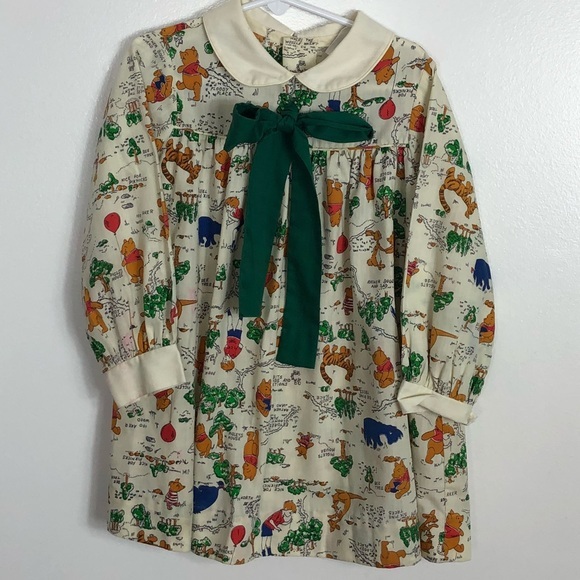 I’m almost certain I owned this dress – now sold out on eBay. It was my favorite. I bought my first bra at Sears. 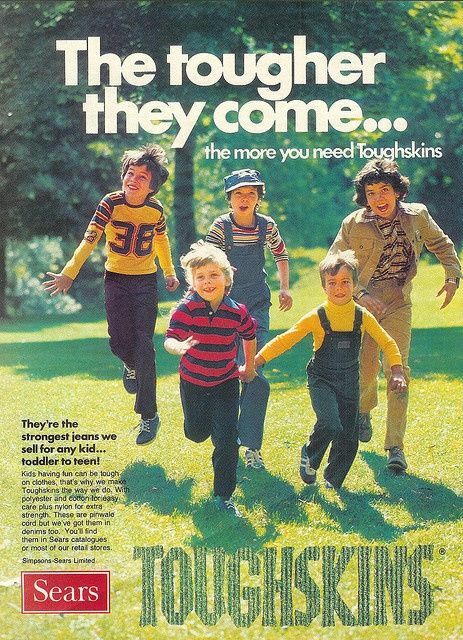 It’s also where my brother got his “Toughskins” jeans, with reinforced knees so thick, it looked like he was trying out for Roller Derby. My biggest Sears milestone – in my young mind, anyway – was when I hit size 6x. Anytime we stopped by the children’s department, I would check my height on a cardboard measuring chart – like the ones at amusement parks, that say when you’re tall enough to ride a roller coaster. I can’t recall why 6x was so important. I don’t even remember hitting the milestone. But I am positive it was the first — and last — time I was happy to be told I’d need to “go up a size” in a dress. 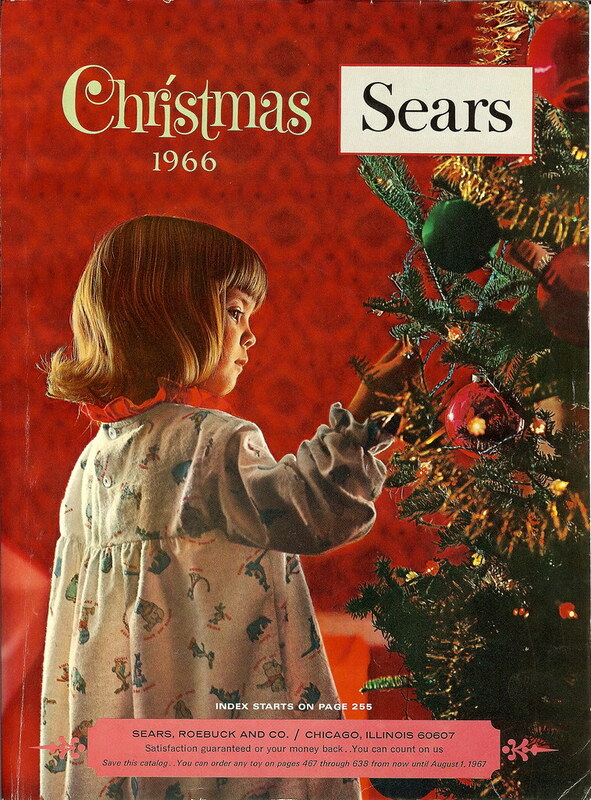 For a child, the very BEST thing Sears had to offer was its Christmas catalog – better known as the “Wish Book”. 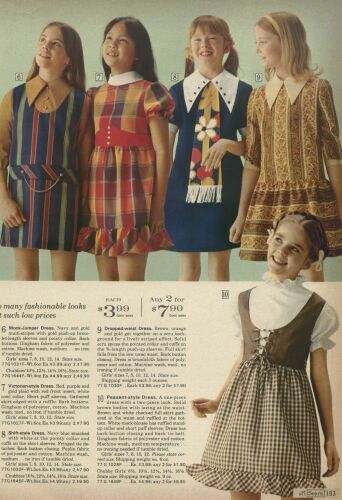 I was more anxious for that catalog to arrive in the mail than I was my SAT scores, years later. It was magic. Year after year, my strategy never changed: I’d hole myself up with that book the moment it arrived, and dream big, turning down the corners of pages featuring any toys or clothing I wanted. Pass One was no holds barred. Realism crept in with Pass Two. Santa Claus didn’t reward greedy, spoiled children, and there was no way he’d deliver all that loot to one house. I cut back with the precision of a surgeon, moping a little with each page corner I turned back up. There’s always next year, kid. After Pass Three, I generally had a Christmas list – reasonable, if slightly aspirational – that my parents could pass on to Mr. and Mrs. Claus. No joke, this is the same process I use today when a Nordstrom catalog arrives… minus the list for Santa. I’ve been reading a lot about Sears’s historical significance. Its kit houses were an affordable route to home ownership in early 20th Century America. These days, neighborhoods where the houses still stand are tourist attractions – reminders of a simpler time, before McMansions. Also noteworthy: The Sears catalogue offered freedom and choice to black consumers in the Jim Crow South. I had no idea, prior to reading this article. Business publications and bloggers have focused on management’s lack of vision, and its failure to innovate and pivot to eCommerce in the face of disruption by Amazon and Walmart. It’s true, of course. But there is plenty of time to absorb lessons from the possible demise of the Sears brand. Right now, my heart is breaking a little for the thousands of employees who will find themselves jobless, and the already-struggling American shopping malls that will lose an anchor store. Most of all, though, I mourn the loss of a thread that ties together so many childhood memories of me and my mom. Amazon Prime can do a lot, but it can’t do that. Over the course of my career, I’ve weathered economic downturns and corporate restructurings. But my never-laid-off streak was broken this Spring when — two months after moving to Chicago for family reasons — my job was abruptly eliminated. I am unemployed for the first time in my adult life… in a city I barely know, without friends or first-hand professional contacts. The news wasn’t a complete surprise; my company had been undergoing cost-cutting and reputational difficulties for some time. Call it a hunch… but I spent conservatively during my move, renting a two-bedroom apartment but not investing in guest room furniture right away. It’s not been easy, but involuntary unemployment has its advantages. First and foremost, it has allowed me to spend a long weekend each month with my mom, who is recovering from a series of strokes. No matter how my next chapter turns out, I will never regret this time spent closer to her, and my dad. I’ve notched nearly six months “in the market”, and have picked up a bit of job search wisdom along the way. When it’s all over, I’m sure I’ll have more. Some of these felt like lucky epiphanies. Others are hard lessons I’m still learning. Keep Calm: The story of my job loss was mine to tell (or not). Friends and colleagues were indignant on my behalf, and it could be tempting to let loose. I have chosen my candid moments with former colleagues carefully, and had them sparingly. My composure and professionalism (or lack of it) in the face of challenge will follow me long after I’ve started my next job. Layoffs can make survivors wonder if they will be next. That stress can bring out the worst in people, so there will be gossip among those less secure, and less compassionate. It’s best ignored. They are telling THEIR story, not mine/yours. Carry On: Aspects of temporary joblessness feel like blessings to me: more time with family, freedom to be a Chicago tourist any day of the week, time to explore new professional paths without a full-time job as a distraction. I’ve received my share of pitying looks, and well-meaning friends panicking over the uncertainty I’m facing. I accept their empathy, without losing sight of MY truth… that change can be a gift. Problem Solved: Luckily, I like solving challenging problems. And while I’d love to have found a job in my first few weeks of looking, I’m comfortable with incremental progress. It often takes six months or more to find the right corporate role. If I didn’t have weekly goals for myself, I’d feel pretty defeated right now. So, if you are an achiever-type who tends to focus mostly on ticking the BIG box as “complete”, you may want to approach your job search a bit differently. Be Loud and Proud: I’m a private person, so this was a bit outside my comfort zone — but we all need help in challenging circumstances, and you never know where that help will spring from. For example, an acquaintance recently scored an informational interview at a very hot Chicago company he’s targeting, thanks to his wife’s personal trainer who made the introduction. Psst… About That Elevator Pitch: Perhaps you live in a penthouse, but most of the world does not. I listen to some elaborate introductions chronicling every job the speaker has had for the past 20 years, and wonder, “How many floors are IN your building?” I suspect most of us start with a long-form approach, but don’t put as much effort into developing briefer versions. Don’t do this. Recruiters, who were conducting multiple chats simultaneously, seemed to appreciate brevity. K.I.S.S. : In other words, don’t overthink. 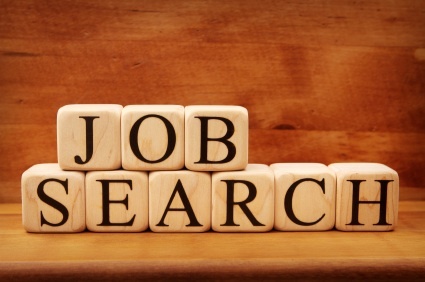 Finding employment is critically important – it’s essentially a full-time job. With so much on the line, we tend to overthink and slip into analysis paralysis. That last one gets me every time. Who doesn’t like to be thanked? Anyone who puts forth effort on your behalf deserves your gratitude. I’m sure your mother taught you that! In that vein… THANK YOU for reading! I’m off on my daily virtual pilgrimage to LinkedIn. Today’s goals: two job applications and several InMail responses. I still have a job to find. Onward! 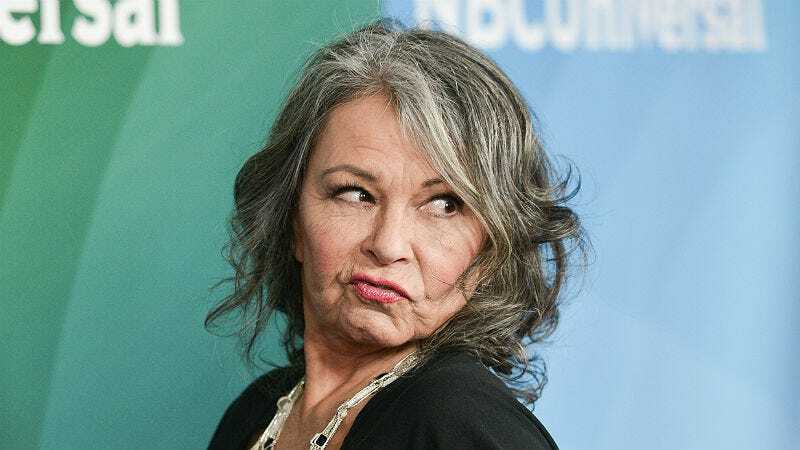 As I type, fallout has begun from a racist tweet by actress/comedienne Roseanne Barr. By the time you read this, there will be no one in America who hasn’t heard that ABC has canceled her much-buzzed-about reboot series, in response. In just over 50 characters, Barr managed to offend her target (Obama advisor Valerie Jarrett), Jarrett’s friends and family, African Americans, Muslims, Iranians… and anyone (liberal or conservative) with a shred of tolerance, class or conscience. Cast member Wanda Sykes beat ABC to the punch – she quit the show when the tweet went viral. And Barr’s talent agency ICM Partners dropped her as a client. I’m not sure why the tweet surprises anyone. In 2013, Roseanne shared something similar about then National Security Advisor Susan Rice – and was shamed into walking it back. All that was missing this time was a #sorrynotsorry. A #boycottABC movement is well underway. The show’s supporters are accusing the network of political correctness run amuck, and “liberals” of being snowflakes with ZERO sense of humor. To paraphrase: First they’ll come for “Last Man Standing”, then for “Roseanne”… then for your liberty. I won’t add to the raging debate on freedom of speech vs. political correctness. It’s a useful discussion, but so polarizing I fear nothing will come of it. Roseanne is (rightfully, IMO) taking a hit where it hurts most – her ego and her wallet. But hardworking actors and crew members – most of whom probably don’t share her intolerant views – are now also unemployed. Well done, Roseanne. I also won’t lecture on racism. It exists in abundance and it’s appropriate to call it out when we see it. Done. I’m not astounded that a comedienne is a bigot. Or that someone has tweeted something nasty and dumb that landed them into hot water. If you simply cannot control yourself, and must mock someone, do not compare him/her to a monkey, an ape, a chimp or any other primate. It literally NEVER, EVER ends well. (Also, shame on you for your cruelty.) Comparisons to an elephant, dog or pig are also off limits, for reasons that should be obvious. If you are a comedian (professional or wanna be) who requires constant validation, resist the temptation to pander for laughs in social media. There’s a sub species on Twitter that hides behind fake bios, and spews hateful stuff under the guise of “humor”. Do not try to compete. Trolls have no reputation to besmirch, you (probably) do. Your boss is on Twitter. So are members of your HR department, and your customers and clients. Even potential future employers. When in social, behave as if your career is on the line because… well, it kind of is. A decision tree on whether to post in social media could be much simpler. When hovering above the “tweet”, “share” or “post” button, consider whether your content is helpful to your audience, or kind and uplifting. If not, keep it to yourself. I recently re-watched a fantastic commencement speech by Tim Minchin who warned graduates against defining themselves by what they are “against”, instead of what they are “for”. He encouraged everyone to be “pro stuff”. Check it out. Being pro stuff is more fun. Just ask Roseanne. In early May, Google’s “Duplex” dominated the news (in addition to preparations for a certain UK wedding). Demos of the robo-caller, sounding disarmingly alive while scheduling haircut appointments and dinner reservations, had us humans talking. Its authenticity was bolstered by a smattering of ums and uhs. All that was missing were a few “likes”, and an upward inflection at the end of sentences — as in, “I want to um, like, make a reservation for Saturday night?” The initial creep out factor for many was high. Duplex raises a number of ethical questions, because it’s so lifelike. Among them: Should a bot be obligated to identify itself as such, when there’s a human on the other end of the line – especially if the call is being recorded? 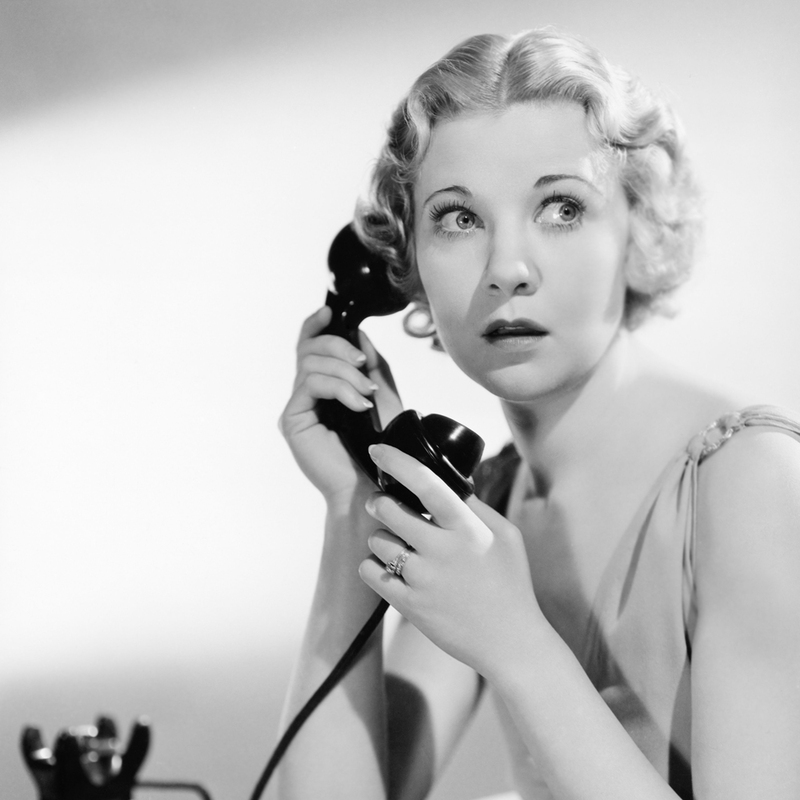 A pre-recorded telemarketing message doesn’t necessarily start out with, “This is a recording…”, but then again it’s pretty easy to spot after a few seconds. If the first few sentences don’t tip us off, we realize we’ve been duped once we try asking a question. Then, we usually hang up. Duplex is interactive. It can pivot, for example, if the flesh-and-blood hostess replies that there are no tables available at 6:30. It will then inquire about a table for two at 7 p.m.
I’m not a product visionary. I don’t see a two-inch wire and think, “If I bend this a few times, I could use it to clip loose papers together and call it a ‘paper clip’.” But it’s easy to see the utility of a robo-caller that gets mundane tasks done, while sounding authentically human. So, what if the task isn’t mundane, at least to some of the humans involved? As I watched the Duplex demos, I flashed back to a job interview from a few years ago. It was a first-round screener — an exercise that doesn’t usually require much prep, but is a way for company and candidate to size each other up. Mostly it’s a forum to assess whether the candidate is fundamentally under/over qualified. It’s also an opportunity for a candidate to get a first read on cultural fit. Occasionally, companies – especially the “hot” ones – forget this. The aforementioned interview involved a recorded phone screener. I had never heard of such a thing. I went through a 20-minute online “training” to learn how the tool worked, and how the interview would go. I was issued an applicant ID, and could call at any time within a date range. A series of pre-recorded questions would be put to me, and when I was ready to answer each one I was to press a button and begin speaking at the beep. When I stopped speaking after each answer, the tool would take my silence as a sign I was finished, and move on to the next question. It wasn’t like a voicemail message that could be re-recorded if I wasn’t happy. I had one shot. I am not sure why I went through with the interview. I have no clue who, if anyone, even listened to my recorded responses. Because I spent that interview essentially talking to myself, I never got a sense of how it had gone. What’s more, I learned absolutely nothing about the role. There was no way to ask questions. The company was more interested in checking boxes – “Did she confirm she has 5+ years of experience doing XYZ?” – than in interacting to assess personality and cultural fit. The corporate culture was not for me. Whether I was, as I suspected, overqualified for the role, the company had demonstrated that employees were just numbers. Widgets. The company misjudged the balance of power between us. I was interviewing them too, and they bombed. I can easily imagine Duplex serving as a more sophisticated version of the unfortunate interview tool I experienced. It could certainly help move widgets along the assembly line faster, and at lower cost. But, does it stand to reason that a bot will be as effective at screening out the “bad” fits? And what if the strongest candidates remove themselves from consideration, because they believe they deserve a flesh-and-blood partner for the interview dance? I hope companies that ultimately gain access to Duplex technology use it appropriately. Booking a table for Saturday night dinner is a mundane task. The two-sided evaluation of a human being’s fit for a role is not. This is not to say that a non-bot interviewer cures all ills. I also recall a phone screener where the interviewer – who sounded like a summer intern – read verbatim from a script. Last week marked my two-month anniversary as a Chicagoan, during which time life has at turns felt rushed (the cross-country drive) and plodding (unpacking box and after box). It’s been exhilarating (everything is new!) and stressful (new things are hard!). I haven’t had time for homesickness for the Bay Area. I left San Francisco – and the little Russian Hill apartment I’d inhabited for nearly eight years – minutes after the moving van drove away. I surprised myself by NOT sobbing as I headed down Highway 101. It probably helped that I had a six-hour drive (read: crawl) ahead of me, and a 10 p.m. ETA in Bakersfield, CA. That left little time for sentimentality. Tip #1: Driving from San Francisco to Bakersfield with few breaks is an ideal way to experience “highway hypnosis”. I don’t recommend it, but I was eager to kick off my Route 66 road trip as quickly as possible. Tip #2: I spent my first night as a nomad – no longer a San Franciscan, but not yet technically living in Chicago – at the La Quinta Inn & Suites in Bakersfield. I’d never stayed in a La Quinta before. This one was affordable, spotless, peaceful and the mattress could rival any swanky Westin bed. Options for accommodation in Bakersfield are a bit limited. This one deserves a shout out. I asked at the front desk whether the hotel had been recently renovated – what else would account for the lack of wear and tear? The clerk said no, it had been nearly a decade. “We all just try really hard, Ma’am.” I loved that. Ideally, I’d have meticulously planned my stops along Route 66, but I didn’t have that luxury with so much packing to do. A friend who had recently made the trip had some suggestions, including “The Route 66 Adventure Handbook”. It was a life-saver for someone who, aside from calculating drive times and booking hotels in advance (a must-do, even in the off season), was pretty much flying by the seat of her pants. Every night, I’d bookmark the section of Route 66 I’d be driving the next day, and pick out a few highlights to visit. I missed some big ones (like Cadillac Ranch), so I’ll hang on to the book in case I try the drive again. From Bakersfield, I headed to Flagstaff – see you in retirement, fabulous Flagstaff! – then Monument Valley. This was my second time visiting Monument Valley in less than two years. It is not on Route 66, but it’s one of my favorite places, and I couldn’t bear to be so close without staying at least one night. I did it for the photos. Next up: Winslow, AZ, and La Posada – a landmark Harvey Hotel. Then Santa Fe, my favorite small American city. In Tucumcari, NM my luck with accommodations ran out. The “authentic” Route 66 motel I’d booked was… well, it was no La Posada. I ditched that reservation, in favor of a La Quinta that looked less… infected. I paid for two hotel rooms that night, but have no regrets. It’s worth stopping in Tucumcari for its classic Route 66 neon signs and kitsch. At the risk of being unkind… they are really the ONLY reasons to spend time there. Amarillo, TX lies just beyond Tucumcari. The thing I’ll remember most about Amarillo is, unfortunately, the smell. Driving along the highway, I was tempted to pull over to photograph one of the many astonishingly-huge cattle yards but… I could not bear the odor. It made my eyes water, and my throat raw. But further upwind, the Panhandle-Plains Historical Museum was acceptable consolation. (It has AC and the windows are kept CLOSED.) I would love to go back. To the museum, I mean. My movers phoned mid-trip to let me know they were ahead of schedule, so I had to speed through the latter half of my drive. I didn’t have time to explore Oklahoma as much as I’d have liked, so I chose to focus on just the Oklahoma City National Memorial, and Tulsa’s historic Greenwood neighborhood (America’s “Black Wall Street” until a race riot of 1921) and National Cowboy & Western Heritage Museum. Seriously, can anyone who has ever MET me think I could drive past a cowboy museum without stopping? I’ll never forget the excitement of entering Chicago after my Route 66 road trip, my car so stuffed I could barely see out the back. My GPS instructed me to drive nine miles north on Lake Shore Drive to my exit. I had never even driven in Chicago before. Nine miles!?!?! This is a huge city! I had a similar feeling – a thrilling combination of fear and possibility — watching my Dad drive away, after helping me move into my first post-college studio in Manhattan. Fast forward a lot of years. I wandered around my empty Chicago apartment, and stared out at Lake Michigan, completely alone. The journey to get here was epic. I’m hoping my adventures in Chicago will be just as exciting – with a little less fast food consumed. Throughout 2017, I lived a life of not-so-quiet desperation. Of fear and loathing, even. Life is short, so I’m not someone who wishes time away… but I was relieved to see this December 31 roll around. In January, I watched hopelessly as Donald Trump took office – cue the “fear and loathing” — then marched through sideways rain with 100,000 other Bay Area citizens to protest the man and his message. Over the summer, I lost a cousin to a heart attack, and an uncle to cancer. At the same time, as Trump and Congress threatened to repeal Obamacare, I was blindsided by a breast cancer scare. Finally, in November my 78-year-old mom suffered a significant stroke. Life has been stressful and crazy ever since. So HELL yes, I am hopeful for a happier — if even more chaotic – 2018. That’s good because in March, after more than two decades in San Francisco, I’ll be relocating to CHICAGO. I’ll be nearer my family in northeast Ohio — a 6 hour drive vs. a 6 hour flight? No brainer! – but there’s more afoot than that. For the past year or so, I’ve had a gnawing sense that it’s high time I SHAKE THINGS UP. I moved to San Francisco straight out of grad school in New York. I had an apartment, but no job and just one friend in the Bay Area. When I tell that story, folks remark on how risky/brave it was – which never occurred to me back then. I had confidence that I’d find a job in a few months and meet new people. Everything would be fine, if I took it one step at a time. So I did. And it was. Since then, though, I slowly lost some of my pluck and sense of adventure. I became cautious, and looked for a perfect confluence of circumstances — professional and personal – when considering a big change. I was too comfortable. I was feeling stuck. I’m planning a farewell tour of the Bay Area, but know I’ll barely make a dent in two decades of favorite restaurants, neighborhoods and friends. I’d like to slip up to Seattle for a few days, but may not have time. Every day, I wake up a bit more excited about my Chicago adventure. I’ve signed a lease for an apartment on the North side, and started watching Bulls games. I bought a big, puffy down coat that reaches my knees. I’m also mapping out my cross-country drive on Route 66. That drive is on my bucket list. CHECK! In my bones, I’m a Western girl – with the boots and old western DVDs to prove it. It’s tough to leave, but I figure there’s a condo in Austin, Santa Fe or Flagstaff waiting for me – in retirement, or maybe before. Who knows? The only thing that’s constant is change. I’ll take the future as it comes, and keep an open mind — because change is good. Facebook: What’s Not To Like? I joined Facebook in early 2009, a respectable four years after the social media network gained popularity beyond the American college crowd. No early adopter, I wasn’t a bandwagoner either. For the past few years, I’ve been immersed in Facebook for my job, and have developed a love/hate relationship with the platform – an occupational hazard. I spend several hours each day befuddled by the behavior of humans, when given the opportunity to comment, share or “like” at will. Some Facebook users “like” their own posts. Why do they do this? Isn’t their favorable opinion of the content kind of implied, by the decision to post it? Maybe by liking the post they mean to suggest it’s especially worth a read – but I’ve yet to see someone like just SOME of his/her posts. If it’s thumbs up for some, it’s usually a thumbs up for all. It’s a head scratcher, I tell you. Facebook offers several ways to reach out to individual friends with personal messages. Remember “poking” just to say hello? Poking still exists, although none of my friends (thankfully) ever embraced the feature. There’s also private messaging, and the Facebook Messenger app. Nevertheless, posting a one-to-one message on a friend’s wall is puzzlingly popular. It ends up in the feeds of the recipient’s entire network of friends. Does the poster understand this, I wonder? Posting to a friend’s wall is commonly used to wish him/her a happy birthday. It’s like an online party, and what’s not to like about that? Everyone deserves a birthday party! Then there’s the user you don’t even know, who shares to a mutual friend’s wall daily. As a favor, I guess? The thing is, if John and his friends wanted to receive Webster’s word-of-the-day in our Facebook feeds, we’d sign up for it, wouldn’t we? Most of us have done it from time to time – accidentally — in a fit of self-pity after a bad day. In our hangdog state, we assume everyone on Facebook knows what we’re talking about. Vaguebookers are the reason we can’t have nice things. I’m (sort of) joking, of course. Facebook is like any community. Most members do their best to co-exist peacefully. When a friend posts seven vacation pics in under five minutes, it pays to remember that the photos are not necessarily intended for me – but for grandma and grandpa who live 2,000 miles away. For grandparents, there is no such thing as too many Disneyland photos. That said, if you’re a Facebook friend and someone is posting Kim Kardashian’s Daily Word of Wisdom on your wall every morning, might I suggest that you introduce him/her to Facebook Messenger? Your followers will thank you for it. In April, President Trump ordered the Department of the Interior to review all designations of national monuments greater than 100,000 acres created since 1996. Luckily, Grand Canyon National Park will escape scrutiny, in part because it achieved National Park status in 1919 — just three years after the National Park Service was founded. While the Grand Canyon is not in 45’s crosshairs, I’m nonetheless (belatedly) sharing these photos from my March trip there, to celebrate the majesty of the place. It’s hard to appreciate the scale and magnificence of it, unless you see it for yourself — ideally at sunrise or sunset. I’d guess politicians who favor development in the vicinity of natural wonders like Mojave Trails (California) or Bear Ears (Utah) have never bothered to visit a U.S National Park. Missing out is their loss — I just hope it doesn’t also prove to be America’s loss. Thanks to my recent trips to Monument Valley, Canyon de Chelly National Monument and the Grand Canyon, Utah’s “Mighty Five” (Arches, Canyonlands, Capitol Reef, Bryce, and Zion) have moved to the top of my bucket list! I can hardly wait. A travel tip: I timed my visit wisely, for an adult with no children in tow. Several inches of snow blanketed the ground, and shooting photos at dawn and sunset was bone chilling — but the crowds were manageable. I could walk along the South Rim in silence and solitude for 5-10 minutes, without encountering another visitor. At times, I could hear the Colorado River rushing, thousands of feet below. I suffer from a condition common among film buffs: classic movie backlog. Weekend binge watching is often my only defense against my DVR purging important stuff to free up space. When that happens, I’m like a hoarder on a reality show who finds an old VHS tape in a skip in my driveway, after an intervention. In the 1959 version, Lora Meredith (played by Lana Turner) is a widowed mother who dreams of Broadway stardom. One sunny afternoon at Coney Island, she encounters another single mom – Annie Johnson (played by Juanita Moore), who is African American – and her daughter Sarah Jane. Sarah Jane has such fair coloring, Lora assumes she’s white and mistakes Annie for her caregiver. Annie isn’t offended. It’s a common assumption, she explains. Sarah Jane’s father was very “light skinned”. The women commiserate about the challenges of single motherhood, until Annie suggests she and Sarah Jane move in with Lora and her daughter Susie, so that Lora could be free to audition. Lora initially turns her down, because she can’t afford live-in help, then changes her mind when she realizes the two are homeless. Over the course of the film, Lora’s singular ambition pays off. She becomes the golden girl of Broadway comedy, and later drama. All the while, Annie is her housekeeper, nanny, friend and support system. The women and their daughters upgrade to a beautiful home – where there are no lowly servants’ quarters — and Annie is financially secure for the first time in her life. I wondered if the friendship between Lora and Annie was shocking for the time – but a Google search suggests it wasn’t. It would seem that audiences struggled more to relate to single motherhood – uncommon in 1959 — than to interracial friendship. 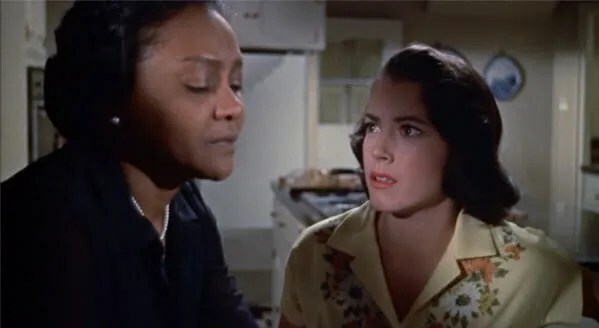 An important storyline in Imitation of Life revolves around Sarah Jane’s light complexion, and her relentless determination to “pass”. Early in the film, she refuses to play with black dolls – a nod to the Doll Test, conducted by psychologists Kenneth and Mamie Clark in the 1940s to assess the impact of segregation on the self-esteem of black children. Before long, Sarah Jane is passing. Everyone in her new elementary school class assumes she’s white – and she does nothing to correct this misassumption. Annie is devastated. Being black “is who you are”, she reminds Sarah Jane. For the rest of the film, the young woman (played by Susan Kohner) stares across America’s racial divide, and longs for a different life. She can have it, if she reinvents herself as a white woman. She runs away, and disowns Annie. The consequences are heartbreaking. The biggest surprise in the film is its treatment of Lora’s professional aspirations. She balances on the bleeding edge of self-aggrandizement and ambition, without coming across as a selfish shrew. She sometimes neglects her daughter Susie, leaving her in Annie’s care for long periods – but Lora is generally portrayed as a kind employer and loving mother, and her bond with Susie is unambiguously strong. Early in the film, she flirts with a Broadway agent to get a part, but draws the line at diving onto his casting couch. Later, she embarks on a long romance with a writer/producer who develops plays that turn her into a Broadway comedy star – then unapologetically breaks off their engagement when she sets her sights on more dramatic parts. She isn’t cruel, but she’s unsentimental and doesn’t shed a tear. She also strings good-guy Steve along throughout the film. Each time they renew their romance, and she agrees to marry him, she receives a telegram – she’s been offered the role of a lifetime! Suddenly it’s, “Steve? Steve who?” In one instance, the engagement and breakup happen on the same afternoon. 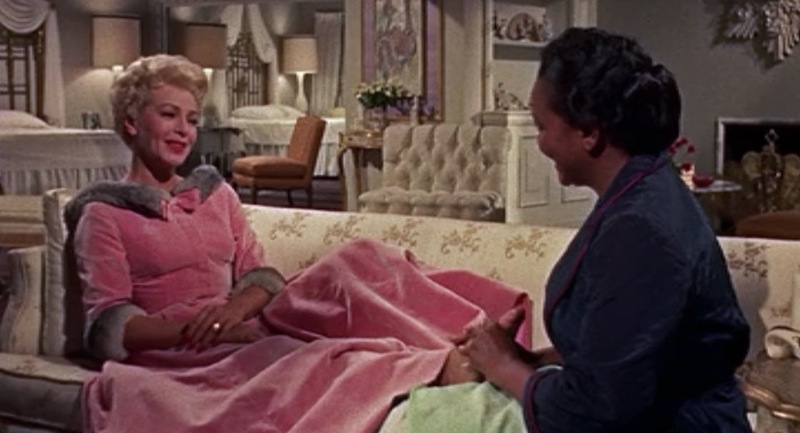 I’m glad Imitation of Life narrowly escaped the dreaded DVR purge. I like a movie that surprises me, and challenges my assumptions about America in the decades before I was born. Most of all, I was intrigued by the film’s portrayal of an ambitious woman who enjoys success after success, without an eventual downfall because she chose her career over Mr. Right. I can’t help but wonder how the New York Times would review the film today? What’s more, I keep envisioning a 2017 remake, with the race of the characters flipped. What if an ambitious African-American woman befriended a down-on-her-luck single mom who was white? That’s a movie I’d pay to see.